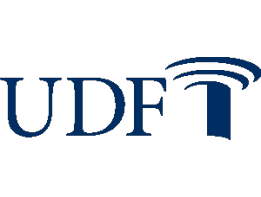 FRE REIT Share Auction #9055-7: United Development Funding III, L.P.
United Development Funding III, L.P. (UDF III)’s investment strategy is based on financing the acquisition and development of land for median-priced residential housing. Land acquisition is the critical first step in the launching of any neighborhood development. While most traditional real estate investments focus on the end product, UDF III takes advantage of the opportunity to offer solutions to homebuilders and developers long before the sale of the individual home lots. The intended portfolio of loans will predominately consist of short-term land acquisition and development loans, generally 24 to 36 months in length. The interest income will be scheduled monthly with principal repaid upon sale of the single family lot and will not be contingent upon the construction and sale of individual homes. Through extensive market research and analysis, UDF III will target markets with strong local economies and sustainable growth. Please note that Net Asset Value (NAV) and Funds From Operation (FFO) are not reported for this asset; refer to the SEC EDGAR Filings link for additional information. Result from recent auctions of United Development Funding III, L.P.
All information contained on this page is from publicly available sources deemed reliable and is not warranted or guaranteed by JRL Capital Corporation, its principals, agents, partners or related companies, REITbid, Share Trading Associates, LFC Marketing Services, Inc. or any of their principals or agents. Information contained on this page and links to information may not be the most current, is for informational purposes only and does not constitute an offer to sell or a solicitation of an offer to purchase any security. Prices and availability are subject to change. Above parties make no recommendations regarding either the purchase or sale of securities, and the information contained herein does not constitute a recommendation. Both buyers and sellers are encouraged to consult an investment and/or legal or tax advisor. CURRENT HIGH BID: US $0.00 per share for 14,358.4000 shares. You are leaving FRE.com and going to a third-party site. FRE and its affiliates are not responsible for the products, services, and content on the third-party site.